So, say it’s this upcoming weekend. You’re home from the family. You have those cheeses I told you about yesterday. Life’s been crazy since Thanksgiving. You don’t feel like cooking a lot. You want to relax and catch up on Netflix. Here’s what you need to do. 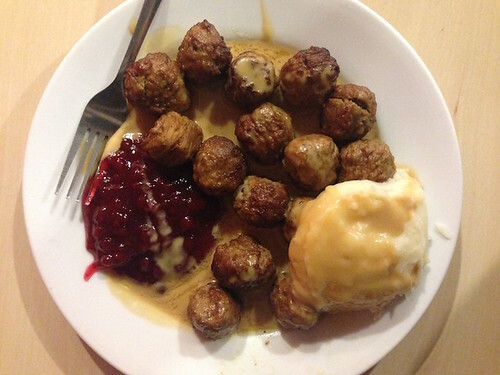 One constant during my Food Studies experience was the amount of simple comfort food us students would look for during the stress times. 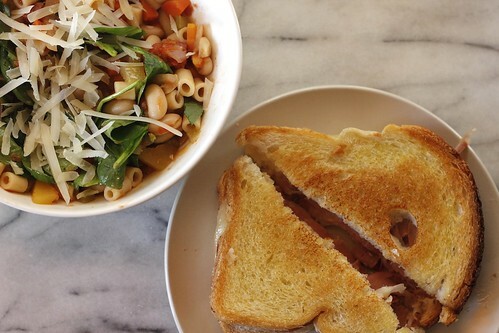 For me, it was often grilled cheese and, when I was really lucky and smart enough to make a big pot ahead of time, I’d pair it with soup. But we’re not talking about your regular old orange cheese and butter on toast (though that is delicious). 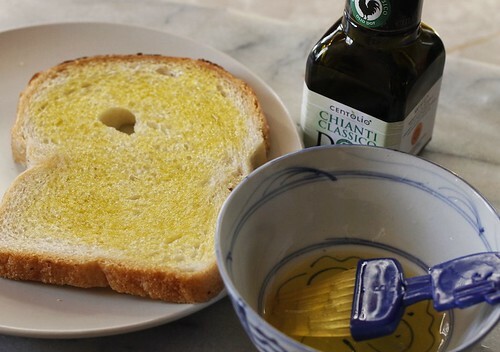 I got fancy and started brushing the bread with olive oil. Sidenote: did you know that there are DOP-certified olive oils?! I didn’t. For work, I tasted too many olive oils to count and came away learning that I enjoy oils with a bright, grassy start and a slight spicy finish—a good happy medium that is surprisingly hard to find. In the past few weeks, I was introduced to Chianti Classico DOP Olive Oil and it fits the bill perfectly! Yes, Chianti is more known for its wine, but it is part of Tuscany, the picturesque land of olive groves. In fact, the olive oil consortium began as an offshoot of the wine consortium. Since certified oils can be found from almost every region of Italy, I highly suggest looking for this oil to begin experimenting with. And remember to look for the logos above! 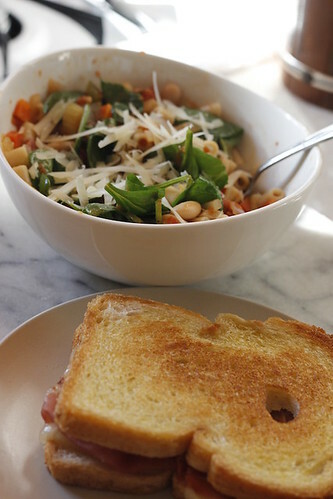 To make yourself a fancy grilled cheese: brush the bread with the Chianti Classico and add slices of the young Asiago and meaty Prosciutto di San Daniele. Be careful to use a lower heat that normal, as I find the olive oil method can get smoky. I also made this sandwich on some nice slices of Pullman bread, but really any soft white will do. Get Those DOP/IGP Italian Meats & Cheeses! Gah! It’s the Monday before Christmas! It’s all happening! From here on out it’s presents, food, family, food, friends, food, booze, food, your creepy neighbor and then more food, right? Well, I have an idea to help you though some of those food parts. It involves meats and CHEESES. And it’s something super simple and will make you seem so smart and everyone will be impressed and I won’t say anything. Like I said last week, I’ve been busy with my daytime gig where I’ve spent the last six months learning A TON of things about Italian products. 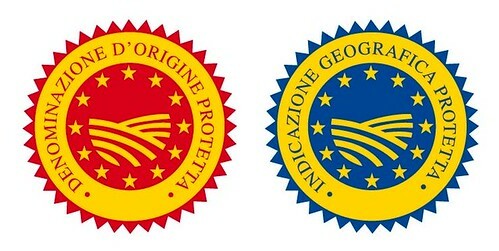 One really, very, super important lesson is the ‘Denominazione d’Origine Protetta’ or DOP certification, and the ‘Indicazione Geografica Protetta’ or IGP certification. Both certify that you’re receiving the authentic product. The IGP logo lets you know that the product can be traced back to its geographical origin, and that at least one phase of its production occurred in the designated origin of production from that product. DOP requires specific production and techniques for each product, and every step must happen in the region of origin. Each has its own logo, and yes, you do want to look for them when shopping. What does this have to do with meats and cheeses over the holidays? Well, doesn’t everyone like a good meat and cheese plate. It has to be the simplest thing to throw together at a moment’s notice (and tomorrow, I’ll give you another way to use up whatever leftovers you have). There are only a few items available with this certification, but they are some of the most delicious things ever. First are Prosciutto di Parma and Prosciutto di San Daniele. The first one is the super famous all-natural, dry-cured ham from Parma. In order for meats to receive the Prosciutto di Parma name, the pigs must be raised in certain areas of Italy and the meat is produced in a precise way in Parma itself. 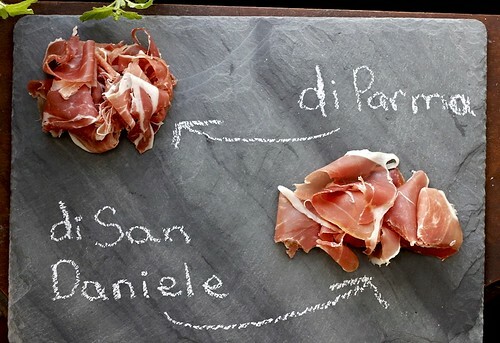 Now, Prosciutto di San Daniele is the lesser-known, just as tasty cousin. This is produced in the Friuli Venezia Giulia region, around the town of San Daniele in the Udine province, in the northeastern part of Italy. One little tidbit to impress your guests: Prosciutto di San Daniele ‘legs’ have a guitar-like shape and are sold with the trotter still on! Now, for the cheeses. Personally, when I don’t know who is coming, I tend to go for milder varieties. Apparently, not everyone loves a good blue! 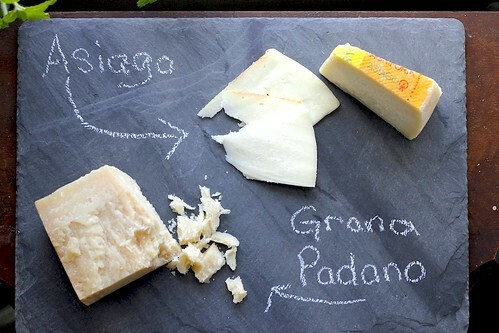 Two to check out are Asiago and Grana Padano. Asiago is the creamy white cheese made from the milk of Swiss Brown and Pezzata Nera cows, who are raised in the Trento region (a little outside of Venice/Verona). You’ll want to pick up the younger, sliceable variety—which is the one with the DOP status. While Grana Padano is often grated on top of pastas and soups, one thing I’ve learned over the years is that it’s salty-sweet nuttiness and granular texture is best experienced as large crumbly pieces. Apparently, this one of the oldest cheeses as monks began making it in the 12th century right where it’s still done today: the Po River Valley in northeastern Italy. Say you do have someone coming who likes a blue? 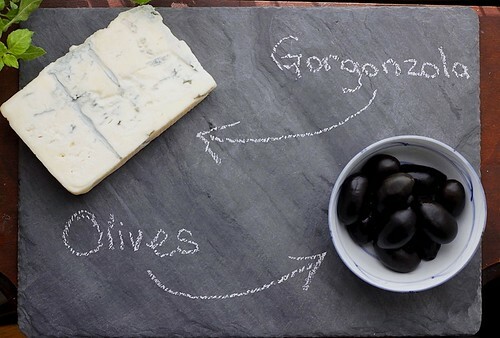 Then go for Gorgonzola. It's produced from unskimmed cow's milk, in the northern regions of Lombardy and Piedmont. I picked up this soft chunk of young Gorgonzola Dolce from Di Palo's, and it's creamy but firm (read: not runny) while being "sweeter" than older Gorgonzola. 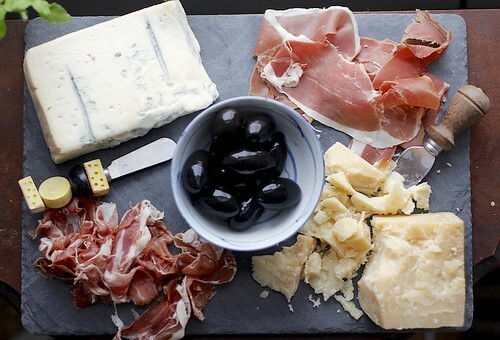 The last addition to a good cheese and meat board is some olives. I'm usually shy about eating olive snacks--I'm not a fan of the saltiness. But these olives you must try! They're called Bella Della Daunia and are cultivated in the Tavoliere area of Foggia (the province with the heel spur of the Boot). These oblong beauties have all the great savory olive taste with none of the saltiness. And yes, they are also available in green. School's Out Forever! New Blog Posts TK!